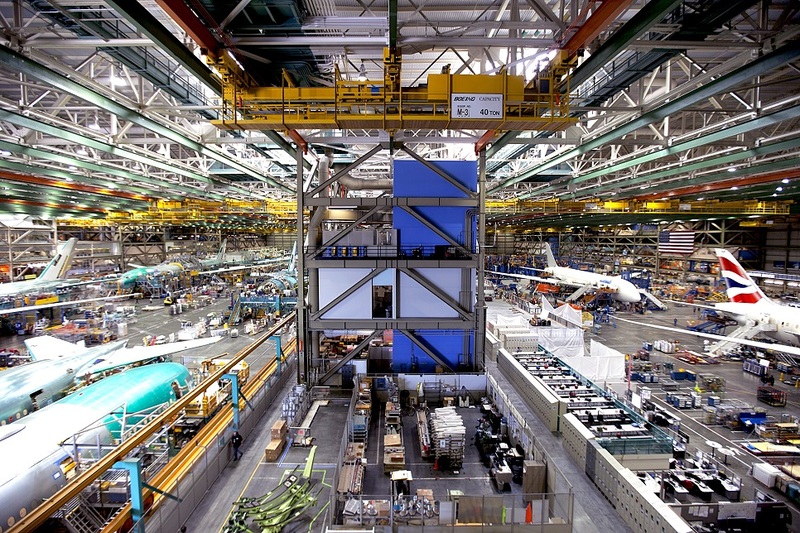 To accommodate the construction of this new airliner, the Boeing Everett plant was doubled in size which cost around US$1.5 billion. The facility contained two assembly lines. New methods such as a turning machine was used to turn the fuselage through 180 degrees, allowing engineers easy access to top sections. 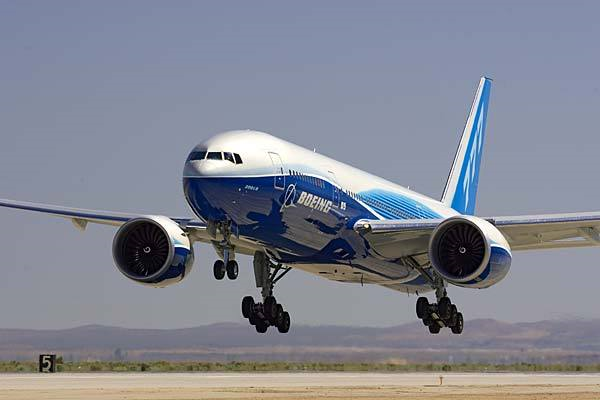 In the construction process for the Boeing 777, Boeing departed from their traditional methods and sought a heavy involvement from overseas manufacturers. The involvement of global contractors has only been exceeded by the later Boeing 787 Dreamliner. Eaton Aerospace Pumps, hoses, valves, pneumatic systems and ducting systems. GKN Aerospace Transparency Systems Inc. Cockpit and cabin windows. Goodrich Corporation, Sensor Systems Total temperature sensors, pitot-static probes, angle of attack sensors, gust suppression transducer, waste level systems; video surveillance systems. Sell Aviation, Britax Sell GmbH & Co. OHG Galley, crew rest compartments, closets, convection/steam ovens, beverage makers, water boilers and ice compartments. A Boeing 777 in Boeing House colours.